The Vancouver table by BoConcept feature is an angular, minimalistic dining table that is comprised of a two-piece top with plank-cut oak or walnut look. The new veneer adds a more natural look and invokes the feeling of sitting at a long, planked table. To complete the industrial look, the legs are available in two options: Anthracite metal or white metal. The metal legs are sturdy, yet slim, creating a balance in the heaviness of the table’s look with lightweight support. For larger arrangements, an extension can be added to the Vancouver – adding 50cm of additional seating space on each end. Taking the table from 240cm to 340cm and creating room for four extra guests. 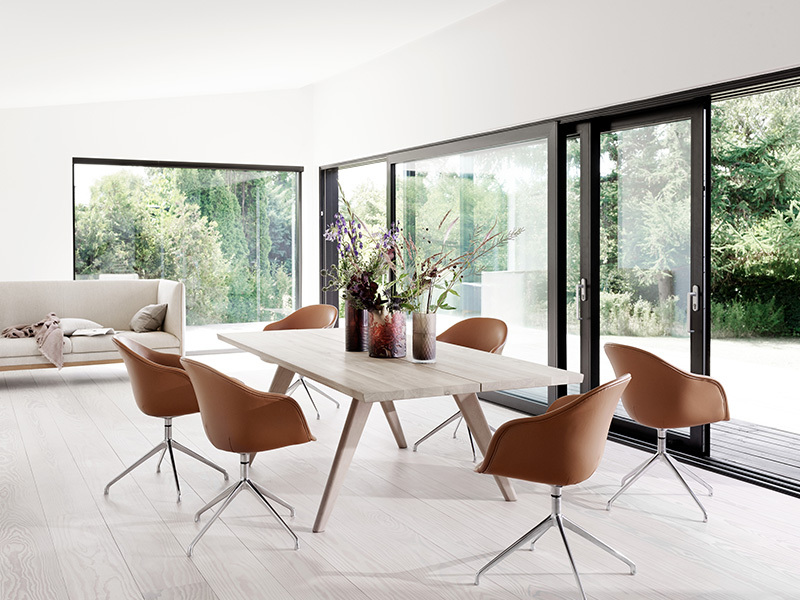 The Vancouver dining table is available at BoConcept furniture stores in Sydney, located in either Crow’s Nest or Moore Park.